Greenhorns! It’s no secret that the National Young Farmers Coalition goes to Herculean efforts for young farmers across the country, from fighting lobbyists from big ag to make sure the farm bill addresses the needs of small farmers to advocating their chaps off for farmer student loan forgiveness programs. Now, it’s time to help them help you! 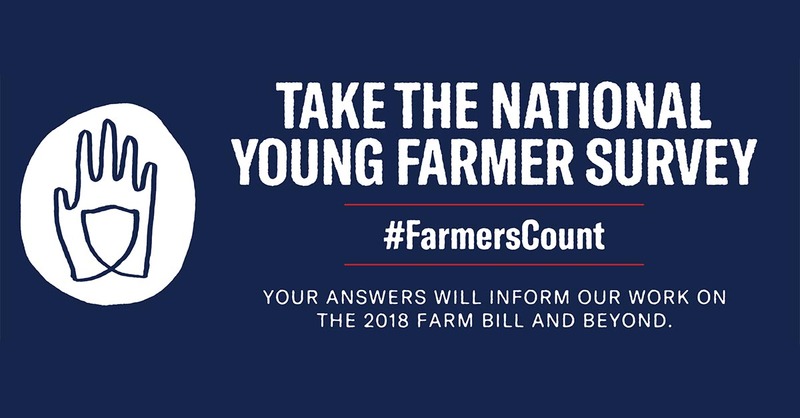 This year, like they do every five years, NYFC conducts their National Young Farmers survey in order to understand and elevate the issues that matter most to young farmers and aspiring farmers. The result of this survey help to define the organization’s policy goals and agenda. Since they launched the survey website a couple of weeks ago, a couple of thousand farmers have taken the survey, but they still need 3,000 more respondents to reach their goal of 5,000. Let’s go!